Hessonite is an astrologically important stone that is associated with Rahu and can bring a lot of happiness in the life of the wearer. However, it is also important to consider the astrological impacts of the zodiac sign before one chooses to wear it as a ring or pendant. Buying garnet loose stones is quite easy these days as there are many e-commerce shops offering precious stones stock them. Before you go ahead and buy gomed online for your personal use, here is a look at the various ways in the entire 12 zodiac signs can get influenced by the Hessonite or garnet stone. Aries natives or people born under Mesh Rashi can benefit by wearing the hessonite gemstone during a major Rahu period. 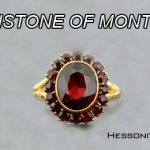 Hessonite stone is really going to work well for a person if he or she has got Rahu placed in second, third, tenth or the eleventh house of the birth chart. If a person with Rahu in the 10th house looks to make a career in politics, then wearing Gomed or hessonite can be surprisingly beneficial. Like Aries individuals, Taurus men and women should wear the garnet gemstone only during the Rahu dasa and antardasa. Wearing the garnet stone can be particularly beneficial and bring a lot of happiness for a Taurus individual if he or she has Rahu in the third, sixth, ninth, tenth or eleventh house. Gemini men and women can wear Hessonite stone any time as Rahu and planet Mercury always share a positive relationship with each other. Wearing the garnet precious stone can be extremely beneficial for all Gemini natives. Cancer men and women should wear the garnet stone only during the Rahu dasa and antardasa and not throughout their whole lives. It is important to note that the Moon and Rahu are astrological rivals and it is always a good idea for a Cancer individual to not wear the garnet on a regular basis in general times. The garnet or Hessonite stone can be beneficial for men and women born under the sign of Leo, particularly when Rahu is located on the third, sixth, tenth or eleventh house. Most experienced astrologers consider Rahu to be good for Leo people. A person may also choose to wear the Gomed gemstone during some important Rahu period after consulting an astrologer. Virgo men and women can have great wisdom and enjoy good luck, joy, and prosperity by wearing the Hessonite gemstone. Virgo is ruled by Mercury and it is perfectly compatible with Rahu. Therefore natives born under Virgo can wear the garnet stone any time they want without any hesitation. Libra individuals should wear hessonite gemstone if they have Rahu located in first, sixth or tenth house. Alternately, they can wear this stone during a major Rahu period. For Scorpios, it is a good idea to wear the garnet stone provided Rahu is located in the third, sixth, eighth, tenth or eleventh house in the birth chart. However, it is important to wear the stone on a trial basis for about 3 days to see how things are working, since Rahu is considered to be an enemy of Mars. It is important that Sagittarius natives wear the Garnet gemstone for about 3 days before they switch to Hessonite gemstone. It is better to start wearing Hessonite only if there are no problems with the garnet stone. This is because Jupiter, the ruler of Sagittarius is not naturally compatible with Rahu. The Hessonite stone must be worn only in an important Rahu period. Hessonite stone is ideal for Capricorn natives as Saturn; the ruler of Capricorn has a positive relationship with Rahu. Just like Capricorn, Aquarius is also ruled by Saturn and it shares a good relation with Rahu. Therefore Hessonite gemstone would be a good choice for Aquarian individuals. For Pisces, the Hessonite gemstone should be worn only when Rahu is placed in the third, seventh, eighth or eleventh house. Hessonite stone can bring a lot of prosperity and happiness in a Pisces man’s or woman’s love life. Hessonite stone can also be worn during a Rahu dasa or antardasa. Please tell me it is recommended for me? Gem recommendation services are done with the third party astrologer and are paid services. Let us know if interested?